Jakarta (VNA) – As of 9pm on March 18, at least 80 people had been reported dead during floods in Indonesia’s eastern province of Papua, according to authorities. 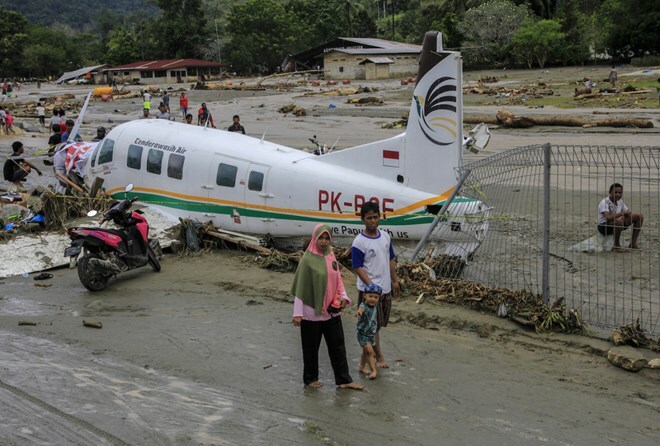 Earlier, Indonesian provincial leaders said the floods and landslide struck at the weekend after torrential rain fell on March 16 in Sentani, close to Jayapura city of Papua province. Authorities in Papua have ordered agencies to resume power supply for people taking shelter in tents, schools and especially hospitals. Electric generators will be used if the power network cannot be fixed in shelters and hospitals, according to Communications Analyst Assistant Septian Pujianto of Indonesia’s State Power Company Papua and West Papua Region. Septian also said power supply has yet to be recovered due to severe infrastructure damage, which will require advanced equipment and rescue forces to solve. Blackouts have occurred in 30 areas of the province and 10 of them have been repaired so far. Floods are common in Indonesia during the rainy season which lasts from October to April. Last January, floods and landslides in Sulawesi claimed at least 70 lives.